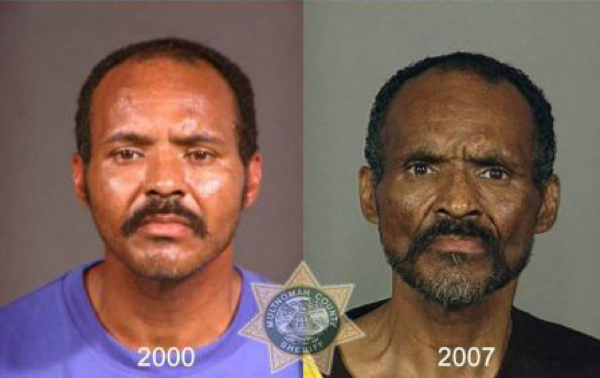 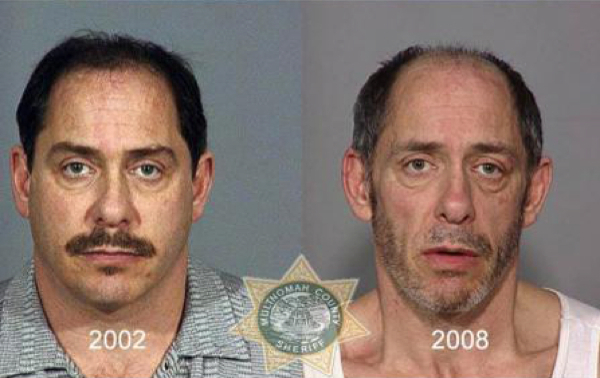 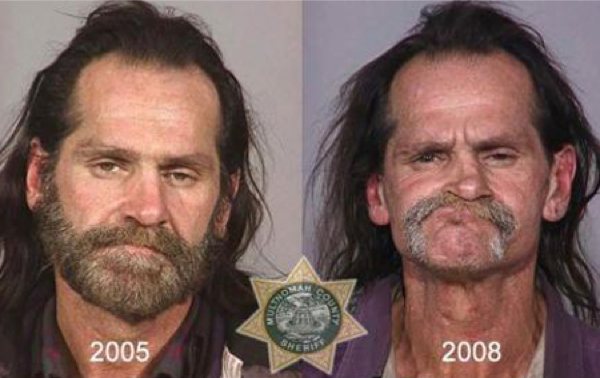 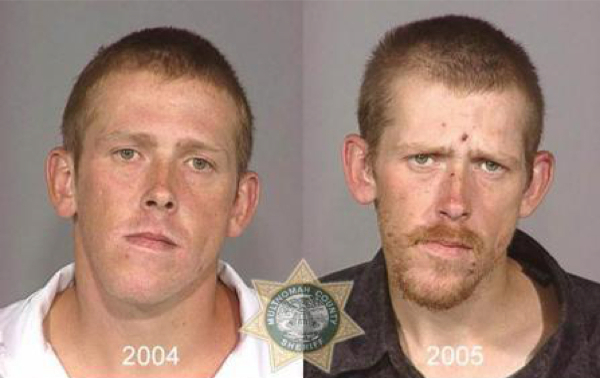 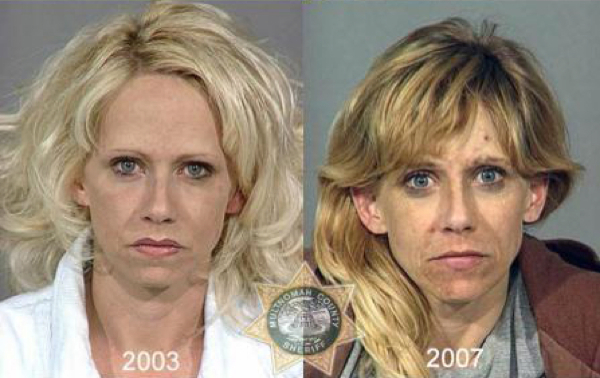 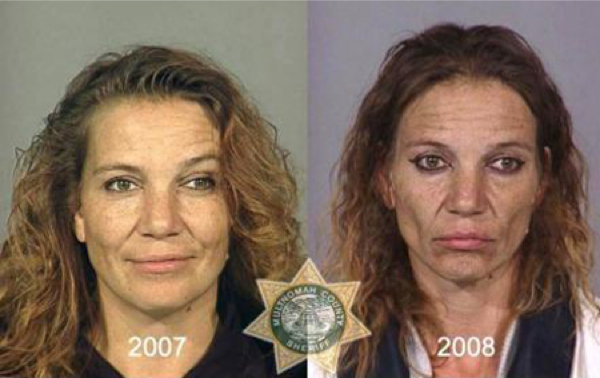 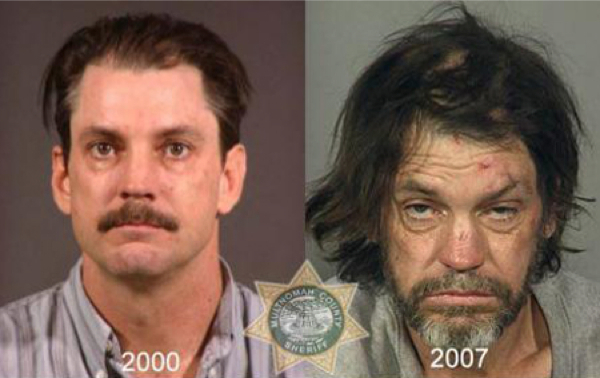 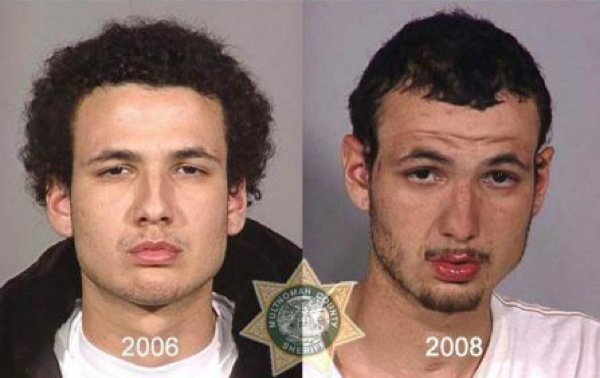 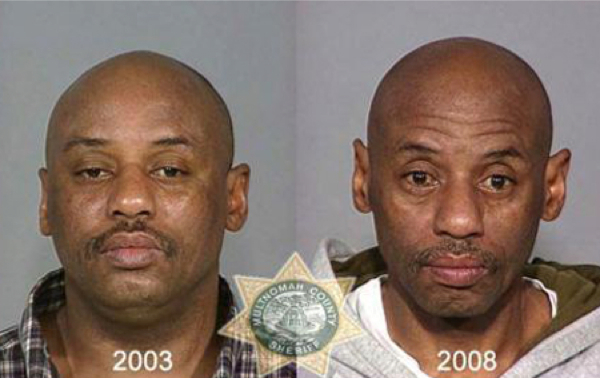 These are the horrifying Mugshots collected by the Multnomah County Sheriff’s Department in Oregon for their anti-drug campaign to show the disturbing truth of what effect drug abuse as on the body, especially to the face. 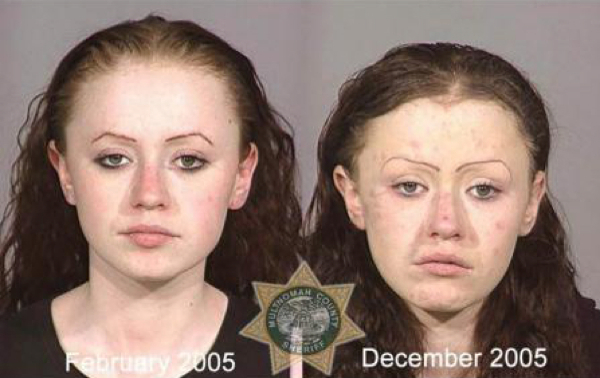 The aim of the campaign is to appeal to the vanity of teenagers in an effort to deter them from drug use. 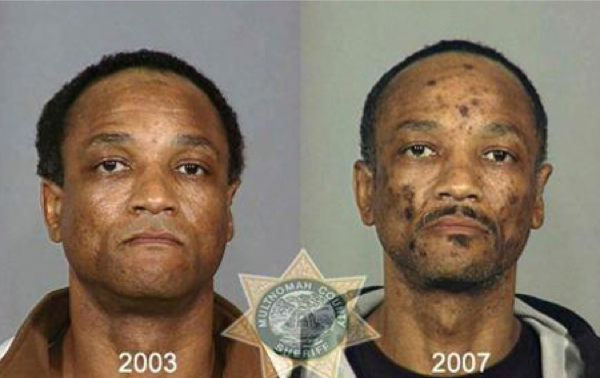 As you will notice in these photos, the face is extremely affected by the abuse of drugs, with deformation, skin infections and tooth loss. 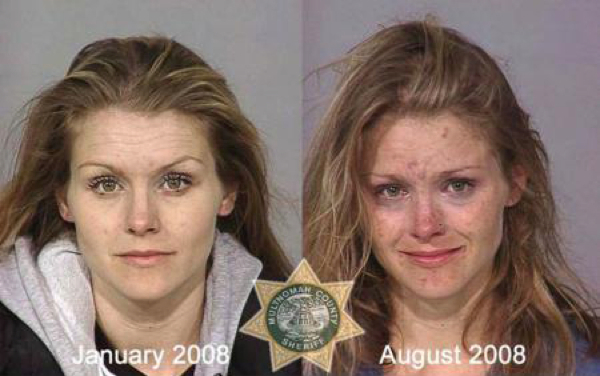 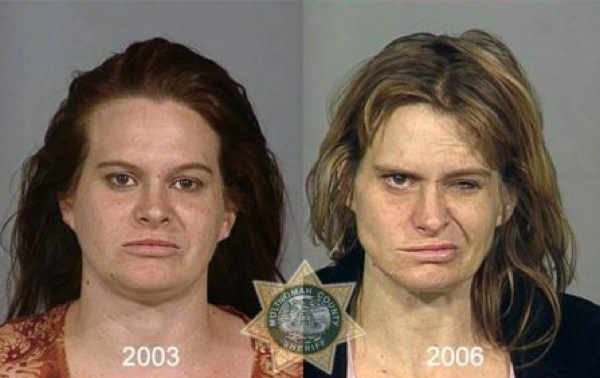 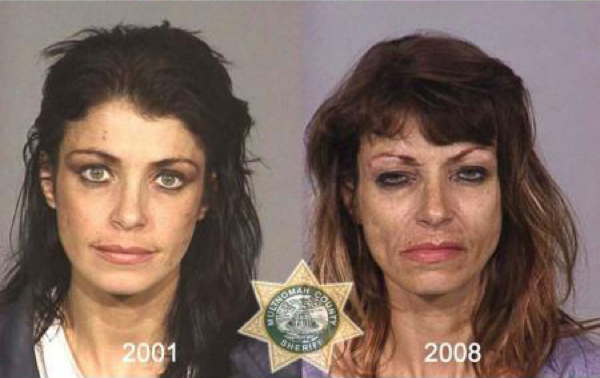 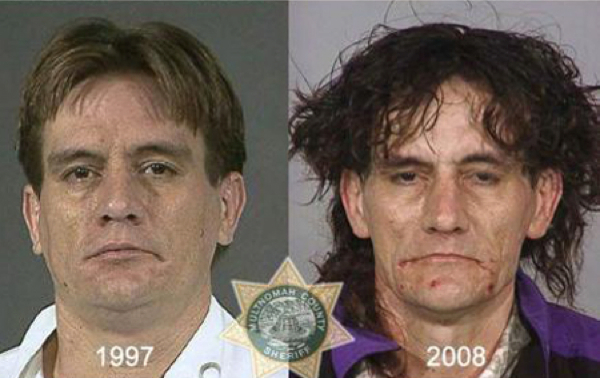 You can see more of this story in the Documentary ‘From Drugs to Mugs’. 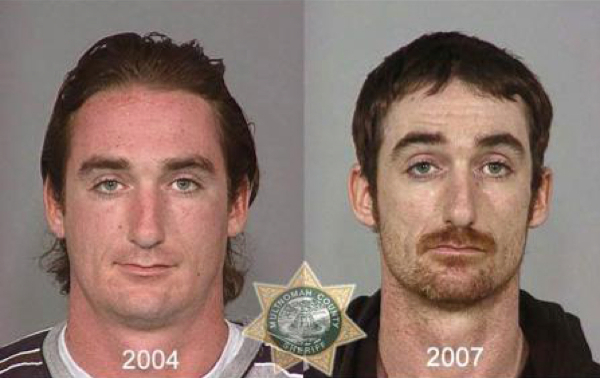 The creator of the Documentary Bret King hopes it will help kids steer clear of Drug Use. 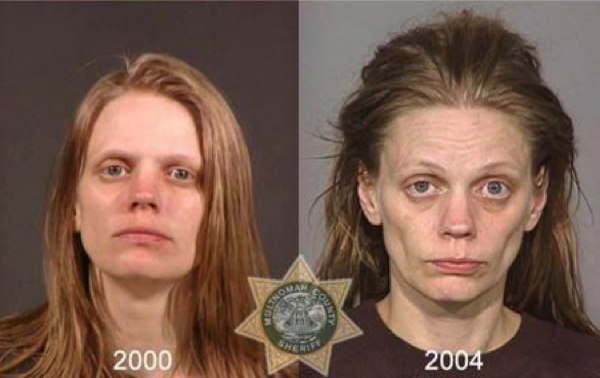 The video will show clear and solid evidence of the impact meth, heroin and cocaine can have on the body in such short time. 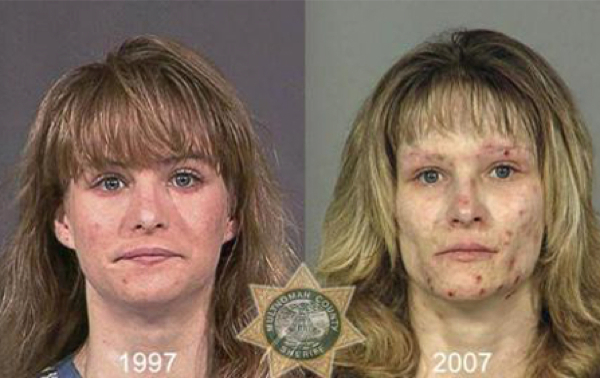 You too can help spread awarenesses to the dangers of drugs by sharing this article with Friends and Family. 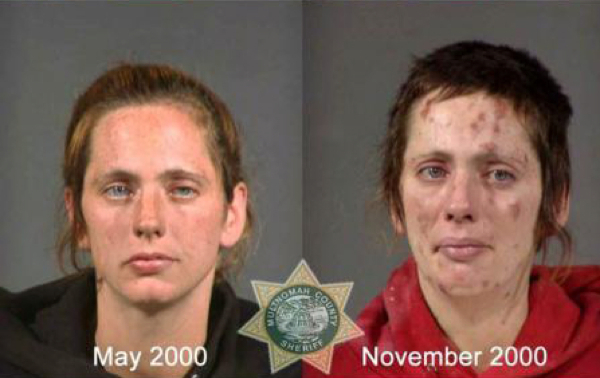 Previous articleA Starving and Abused Dog Lies Down to Die on Porch, or Did She Know It Was Her Last Chance to Survive?